Physical observations are an important part of a DUI arrest and conviction. An officer can make any number of observations that would lead him or her to believe an individual is intoxicated and can then testify as to the observations in court. Ultimately, these physical observations can be used as evidence against you in a later DUI trial. In order for an officer to place you under arrest for suspicion of DUI, there must be probable cause to make the arrest. 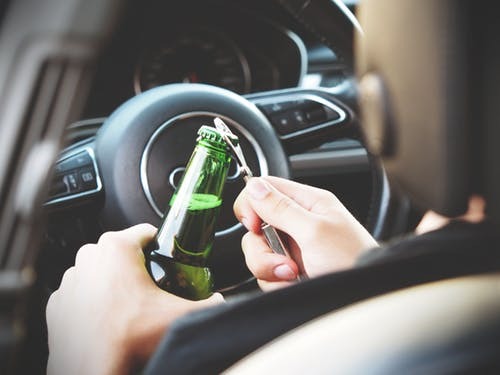 In other words, the officer must have an articulable belief, based on the observations at the time, that you were operating a vehicle while under the influence of alcohol or drugs. The physical observations make up a significant portion of the probable cause that an officer requires to make a DUI arrest. In fact, a court can also find you guilty of DUI based solely on an officer’s physical observations. DUI Per Se – a DUI per se means that your blood alcohol content (BAC) was .08% or higher. If this is the case, you are presumed to be intoxicated and the Commonwealth need not provide additional evidence to prove that you were under the influence of alcohol. Impaired – if it is determined that you are impaired to the point that you should not be driving, you can be convicted of DUI in Massachusetts. Evidence of a BAC level of .08% or higher is not necessary. What are Physical Observations that Can Lead to a DUI Arrest and Conviction? From the moment an officer notices your vehicle and makes the decision to pull you over, he or she will be making observations of your behavior, actions and inactions, and speech. If these observations lead the officer to believe you were drinking and driving, an arrest is likely. An officer’s physical observations during a DUI arrest are important pieces of evidence that the Commonwealth will use against you. These observations can even be captured on video as recording devices become more common. It is important to speak with an attorney right away to discuss any physical observations that may be a factor in your case in addition to discussing the admissibility of such evidence during a subsequent trial. These observations can play an important role in the outcome of your case. Call one of our OUI attorneys for a free DUI consultation.